Lighting from day to night: Twilight, sunset, multiple times of day, multiple times of night, skyglow. Many weather and cloud types: Clear, overcast, summery, stormy, autumnal, hazy, epic, foggy, cumulus. 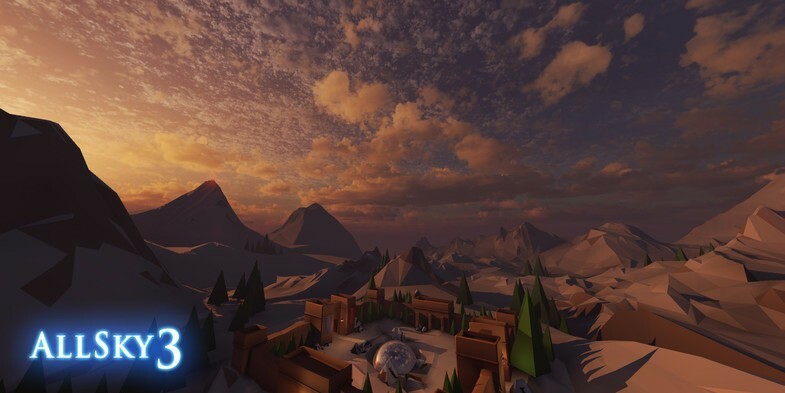 160 Skyboxes (6 sided cubemaps sized from x1024 to x2048 per-side) each with example lighting setup scene!. 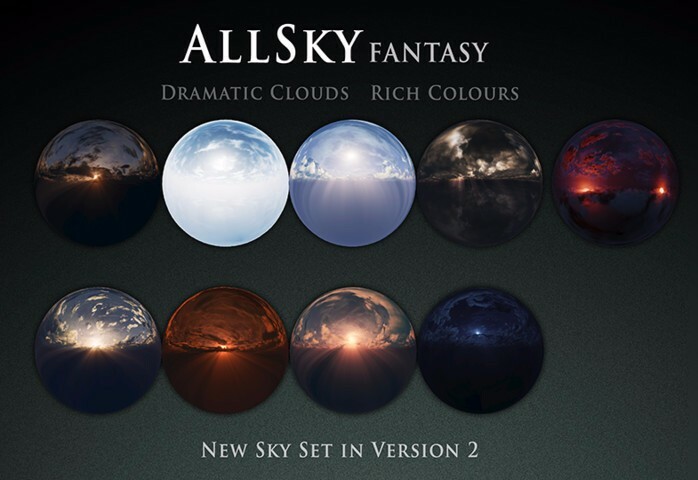 - Even More Skies - 20 extra skies added for a new total of 160! Epic - A selection of absolutely vast and detailed sunsets, storms and cloud formations. Haze - The sun is out but the atmosphere is dense and foggy. Space - Two new space skyboxes. These are fairly dark cloud nebulae and have no stars baked onto them so you can add non-texture resolution dependent stars via your own means (such as particles, shaders or object billboards). Sunless & Moonless - Fulfilled frequent request for skies which have no distinct sun or moon position. These have no sun or moon glare object on them and clouds which don't portray any distinct illumination direcion. They are also pleasingly reminiscent of Sega arcade games - 'Blue Sky Gaming'. 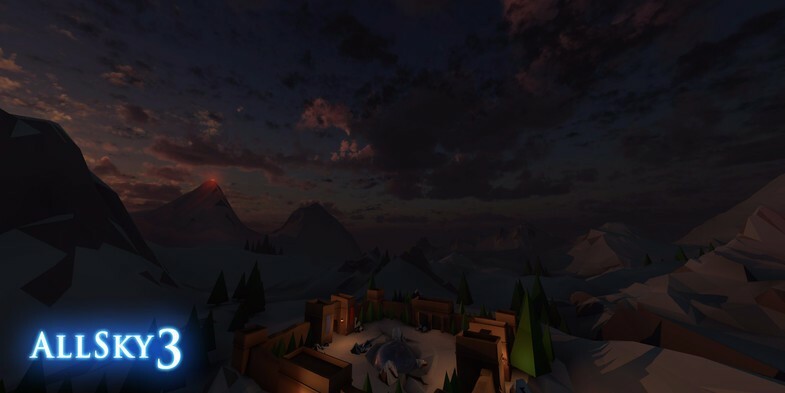 - Skies now import at full resolution. 23 extra skies added for a new total of 140! Fantasy skies at different times of day with very dramatic clouds and colours. Cartoon skies in distinctive painterly, watercolour, airbrushed or pixelated styles. 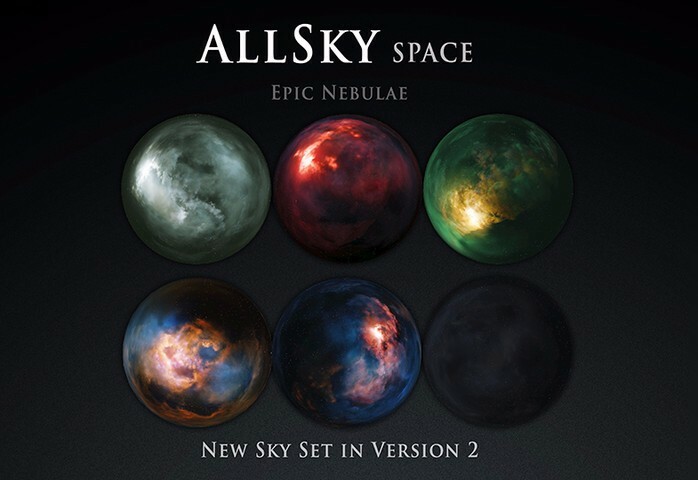 Space skyboxes with epic, colourful nebulae. More overcast skies for moody scenes. Skies re-exported in a new format. From equi-rectangular to 6 sided. This results in a small quality increase, and should make life easier for developers on certain platforms. 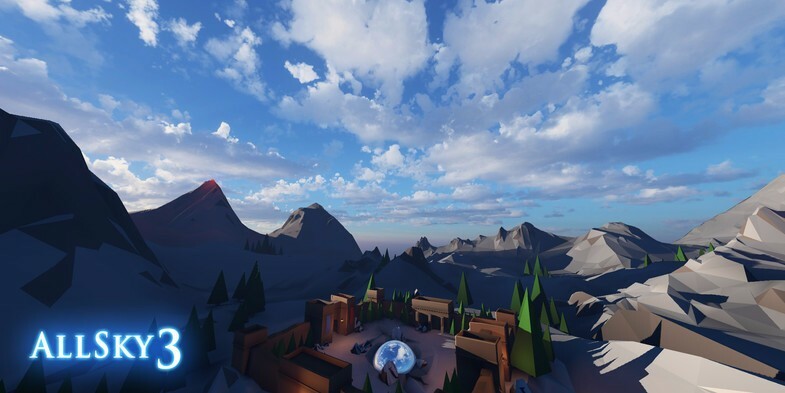 All 140 skies now have a low poly demo environment with example lighting and fog pass. Great if you want a reference for colour and luminance values.